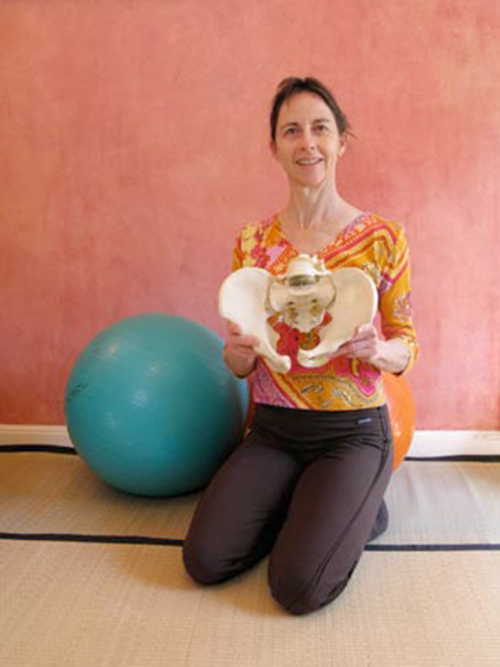 Rebecca Haseltine is a Body-Mind Centering practitioner and teacher in the Bay Area who developed Body Learning, a comprehensive practice of hands-on bodywork, movement therapy, and somatic education. Here, she shares more about the application of Body Learning, including with people with disabilities, and how she supports a spectrum of movement choices. Can you share with me a little about your personal history – how did you become interested in somatic intelligence? I was always a mover – running, jumping, climbing, dancing as a kid. I studied dance seriously in college and was dreaming of a dance career. I was interested in the intersection of many disciplines, so I put together a special major including dance, art and science, and was concurrently preparing for a teaching credential. My dance career was cut short by injuries and by a shift in my personal life; I worked full-time to support my then–husband through law school. After we split, I went straight back to dance. My intro to Body-Mind Centering (BMC) happened in two ways: I received BMC bodywork to try to heal some of my injuries (some of them from my active childhood), and my main dance teacher brought BMC into her teaching. After applying to grad school in art, with many ambivalences, I called the school for Body-Mind Centering to inquire about their training program, and Bonnie Bainbridge Cohen herself picked up the phone. We talked for half an hour, and at the end of the conversation I knew I would study with her, and with no ambivalence. I’m still practicing BMC daily after 27 years. How would you describe Body Learning to someone unfamiliar with it? 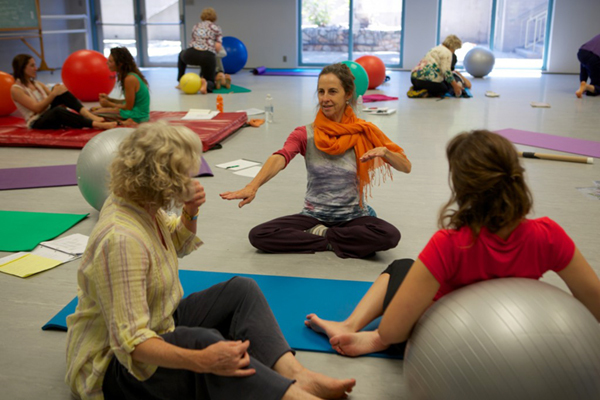 Body Learning is a somatic approach that includes hands-on bodywork, movement therapy, and movement education. I work with babies, children and adults with a variety of questions, issues and curiosities, but often it is pain that brings the adults to my door, and often it’s concerns of some kind that brings parents with their kids to me. I cultivate long-term relationships with clients and students, and the work we do together will change over time, based on their needs. I usually ask the person what they are interested in, or what they are looking for, and we develop a conversation about how we might work together. Body Learning is about 95 percent Body-Mind Centering. I say that to people who know what Body-Mind Centering is. The other five percent is work with qi, derived from my practices in Tai Qi, Qi Gong, and other Qi practices. How does your application of Body Learning vary depending on the demographic you are working with? My work has developed some long branches in certain areas. I started out with a particular vision: to do dance with children with disabilities. I started as a volunteer at the Children’s Movement Center (now closed), became a teacher there, and then ended up teaching at the Bridge School, a school for children with severe physical and verbal impairment. I taught at the Bridge School for 11 years, doing a dance class that also included music, theater, and a lot of ball games. I also taught art there with a multisensory focus. I also worked privately with children with cerebral palsy for over 10 years. During that time, I encountered kids with sensory processing needs, and I began to develop my work around that particular area and shifted from CP (cerebral palsy) to SPD (sensory processing disorder) as my focus for many years. During that whole time, I also worked with adults who came to me with a variety of concerns, usually pain, movement restriction or neurological challenges. To answer your question, with the kids with CP I used a multi-sensory approach. It was all exploration and play-based with an emphasis on experiential learning and discovery. We offered sensory and movement experiences to them when they were unable to move themselves. I instigated an approach to supporting movement from an invitational place, rather than a forcing or overpowering place. In the art classes, I instituted a ‘hand under hand’ approach to change the traditional ‘hand over hand’ way of supporting a kid in a manual activity. This was to give the kids more agency during the activity. Private sessions with kids with CP were a combination of hands-on and movement work. With the kids with SPD, it was more play-based using lots of balls, stretchy bands, stretchy suits, etc., and I tailored my sessions to the kid I was working with. With adults, it’s often a hands-on session, usually on a massage table, but sometimes I do movement work with them also. I also have taught classes in BMC and am now teaching in the BMC training programs. My classes are all experiential with a lot of verbally guided explorations, partnering, time to process and discuss, and also sometimes looking at anatomy books. As an Infant Development Movement Educator, how might an understanding of embryological or infant movement patterns apply to an adult? I am applying my understanding of development all the time when I work with adults. Often, I don’t even mention it, but it will emerge in my experience during a hands-on session, where suddenly I feel as though I am holding a baby’s head or an infant’s leg. It helps me focus in a more comprehensive and gentle way. When I do discuss with the client, they often can relate to what I am describing. Our history lives inside us. The embryological, fetal and infant developmental patterns are deeply effective during healing because they can offer us a memory that lives in the body that is pre-trauma. It is a reference point to invite forward to support healing in the present. 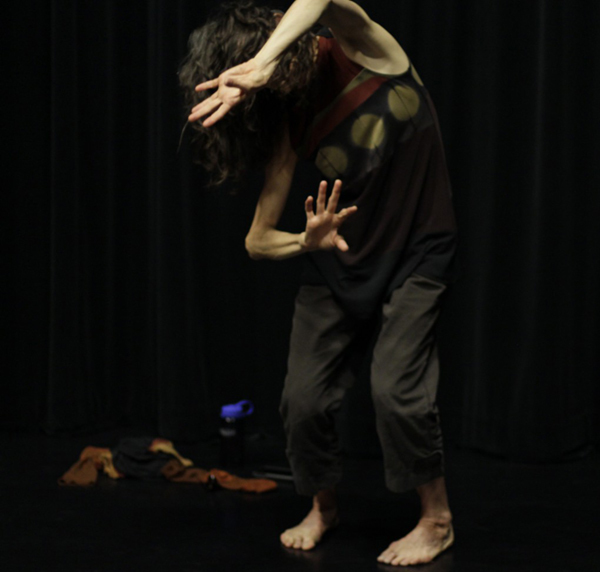 Why is knowledge of somatic modalities like Body-Mind Centering important for dance artists? Dancers are some of the most intelligent people on earth. There is something about working with the body in such a detailed way that they can do almost anything. (I’m not biased or anything!) Becoming more deeply aware in the body always informs dance practice, no matter what the form is. I’m currently teaching ballet teachers, and they are absorbing the BMC material like sponges! Somatic awareness gives us more options, a broader spectrum of available ways to move and, importantly, gives us a multitude of ways to move with more integrated support so we avoid injuries. From your point of view, do somatic modalities support the social model of disability or the medical model of disability? Or perhaps a new way of looking at disability and ableism? This is a very interesting question, and I would answer it similarly to my answer to the above question. I feel that when there is disability, (I don’t like that word, but unfortunately that is the current word) there is added intelligence. When there are complications in movement, there is greater attention to how to move, so there is often an appreciation for more options and more support. Somatics offers us a deeper and wider spectrum of choices for movement and inquiry into movement support. So it may be medical, it may be social, you get to choose what your involvement is, and what your expression is. You are also a visual artist. 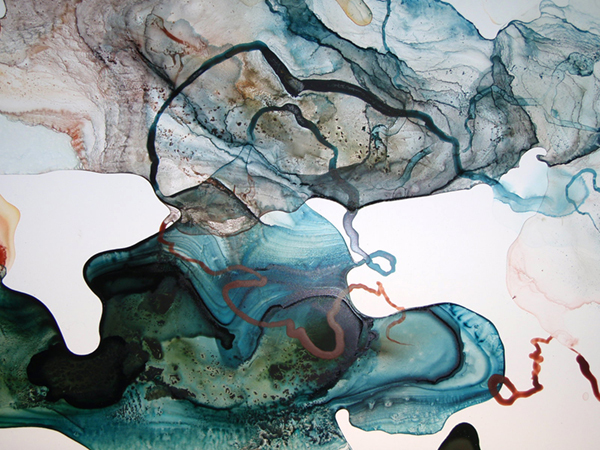 How does your personal somatic practice and visual art practice inform each other? My somatic work and my artwork are intimately entwined. My artwork is all body-based, somatics-based, and movement-based. And my individual sessions and classes feel like artwork – they are another expressive form for me. To learn more, visit www.bodylearning.net.